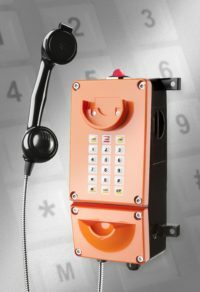 TP non-intrinsically safe telephone sets have been designed for exploitation in hard industrial conditions with no explosion hazard, including mining plants, (extensive humidity, noise, dustiness). With the standard analogue equipment of telephone exchanges of any type. From subscribers’ equipment of analogue telephone exchanges.